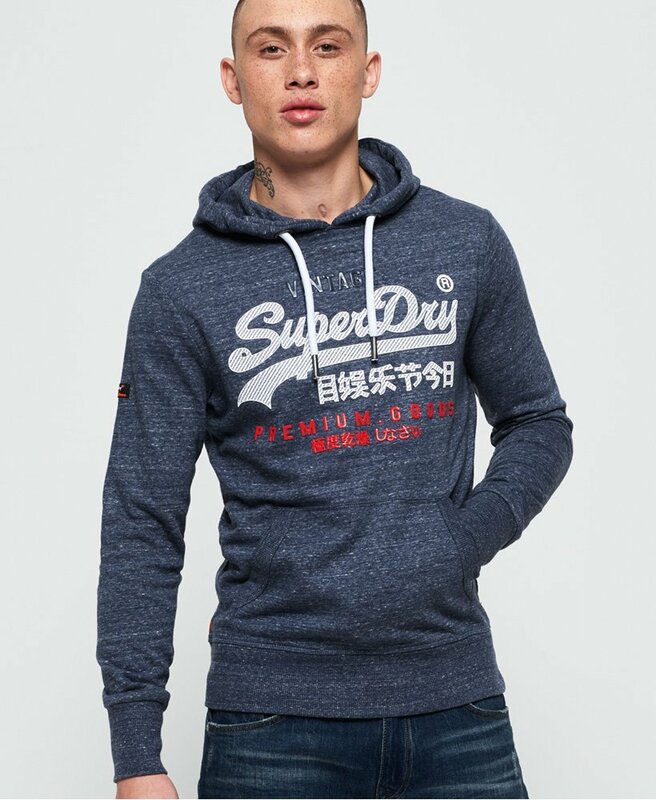 Superdry men's Premium Goods tri infill lite hoodie. This lightweight overhead hoodie is perfect for layering and features a drawcord adjustable hood, a front pouch pocket and a ribbed hem and cuffs. This hoodie also features a large high build Superdry logo across the chest with smaller logos within it for added detail. Completed with a Superdry logo badge on the sleeve and the signature orange stitch in the side seam, this hoodie looks great under a denim jacket.